Exciting research suggests that a shot every one to three months may someday give an alternative to the daily pills that some people take now to cut their risk of getting HIV. The experimental drug has only been tested for prevention in monkeys, but it completely protected them from infection in two studies reported at an AIDS conference on Tuesday. 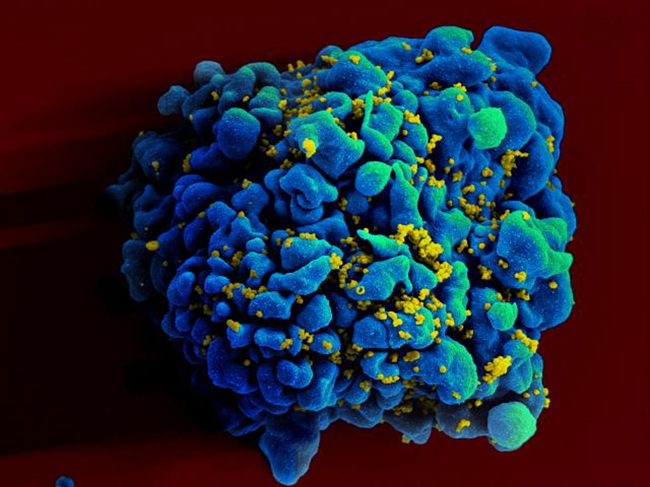 “This is the most exciting innovation in the field of HIV prevention that I’ve heard recently,” said Dr. Robert Grant, an AIDS expert at the Gladstone Institutes, a foundation affiliated with the University of California, San Francisco. Until a vaccine is developed, condoms are the best way to prevent infection with the AIDS virus and many other sexually spread diseases. But not everyone uses them, or does so all the time, so public health officials have pursued other prevention options. A drug used to treat people with HIV ― Gilead Science’s Truvada ― also is used to help prevent infection in people who don’t have the virus. A big study in gay men a few years ago found it could cut this risk by up to 90 percent, depending on how faithfully people take the daily pills. The new research tested something that could make this type of prevention much more practical ― a long-acting experimental drug made by GlaxoSmithKline PLC. The studies tested it in macaques exposed to a human-monkey version of HIV. Researchers at the Centers for Disease Control and Prevention gave six monkeys shots of the drug every four weeks; six others got dummy shots. All were exposed to the virus twice a week for 11 weeks. The monkeys who got the fake treatment were readily infected “but the animals that received the long-acting drug remained protected,” said study leader Gerardo Garcia-Lerma of the CDC. The results mirror what was seen in the CDC’s early research in monkeys on Truvada, the pill that’s available for HIV prevention now. In the second study, Chasity Andrews and others at the Aaron Diamond AIDS Research Center at Rockefeller University in New York gave eight monkeys two shots of the drug, four weeks apart, and dummy shots to eight others. The animals were exposed to the virus weekly for eight weeks. Again, all animals given the fake treatment were quickly infected and those on the drug were all protected. To see how long a single shot would last, they did a second study. The single shot protected 12 monkeys for about 10 weeks on average. The dose used in a single shot corresponded to what people would get from a shot every three months, researchers said.